Photographing a bride and groom watching their toasts is an exception documentary opportunity for a photographer. Reactions are essential documentary photography and a very important piece to any moment or sequence of action. I enjoy the outdoor lighting at night, the smiles on their faces, the detail of the guests in the background and the directional lighting from a subtle bounce off of the side of the building. 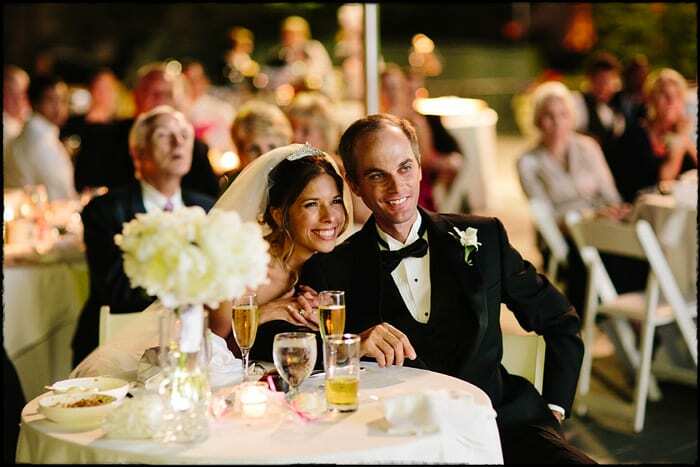 Everything comes together for me in this Greenbrier wedding image.